With a two goal cushion and a busy Premier League schedule ahead of them, Liverpool may look to rotate a few tired legs in their team. The Merseysiders will know that an away goal would likely see them through, as it would leave Porto needing to put at least four past the Reds' goalkeeper Alisson. Check out 90min's preview of this fixture below. Porto have the welcome boost of midfielder Hector Herrera and defensive warrior ​Pepe returning for this leg, having been suspended for the first. These two have been a key part of Porto's formation this season and have made big contributions to their impressive run in Europe so far. The pair will be crucial to the Portuguese side's efforts to prevent ​Liverpool grabbing a tie-ending away goal on Wednesday night. Liverpool meanwhile, will be waiting to check on the fitness of captain ​Jordan Henderson. The England international, who has shone in a more advanced midfield role in recent games, came off in Sunday's win over the Blues and may not be risked for this fixture. The former Sunderland man's potential omission from the team could pave the way for ​James Milner to return to the starting lineup. The Reds have had Alex Oxlade-Chamberlain and Joe Gomez return to full training recently, though this fixture is expected to come too soon for either player to make an appearance. 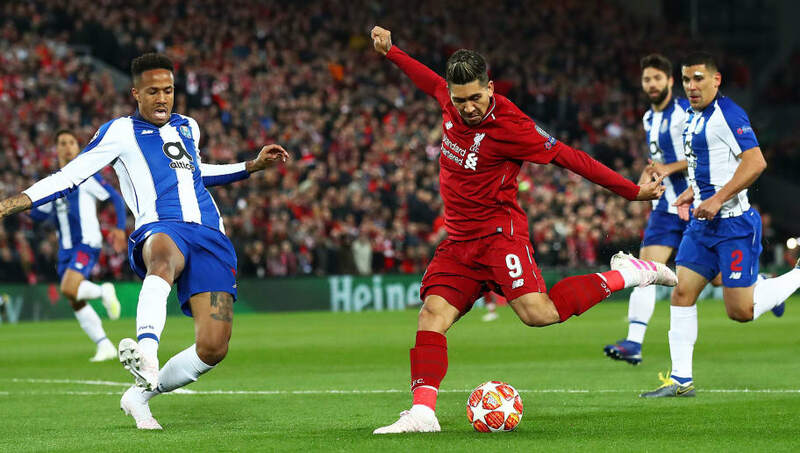 The two sides met in the round of 16 in last year's ​Champions League, which saw Liverpool put the game to bed in the first leg with a 5-0 victory at the Estadio do Dragao.​ To come back from the two goal defeat at Anfield, Porto will need to beat Liverpool for the first time in their history, as they have failed to do so in their previous seven attempts. The six meetings prior to Liverpool's 2-0 victory last week were in three separate two-legged European fixtures in which the Reds emerged victorious on all three occasions. It will take something special from the Dragons on Wednesday night to prevent history from repeating itself once more. The Portuguese champions will be wary that one Liverpool goal would put this game to bed and will be looking to keep it tight for the first 15 to 20 minutes. However, they cannot afford to wait too long before applying pressure to the Reds' goal, as they need to score at least two to stand any chance of progression. As they push for goals, they will rely on returning defender Pepe to help keep Liverpool away from the home goal. Porto will be strong in this game and may take a lead, but their chances of keeping Liverpool's attacking trio quiet are slim, and an away goal could put the game beyond the home side.